We’re Going In To The Wild!!! Would ya look at that, is it so? Is that a Zebra staring at me? Ahh! Oh no! What made that tremendous growl? It is a ferocious Jaguar on the prowl! A fierce little Tiger is wandering through! It’s In to the Wild for me and you! The Kennel you get from them could be a WILD surprise indeed! 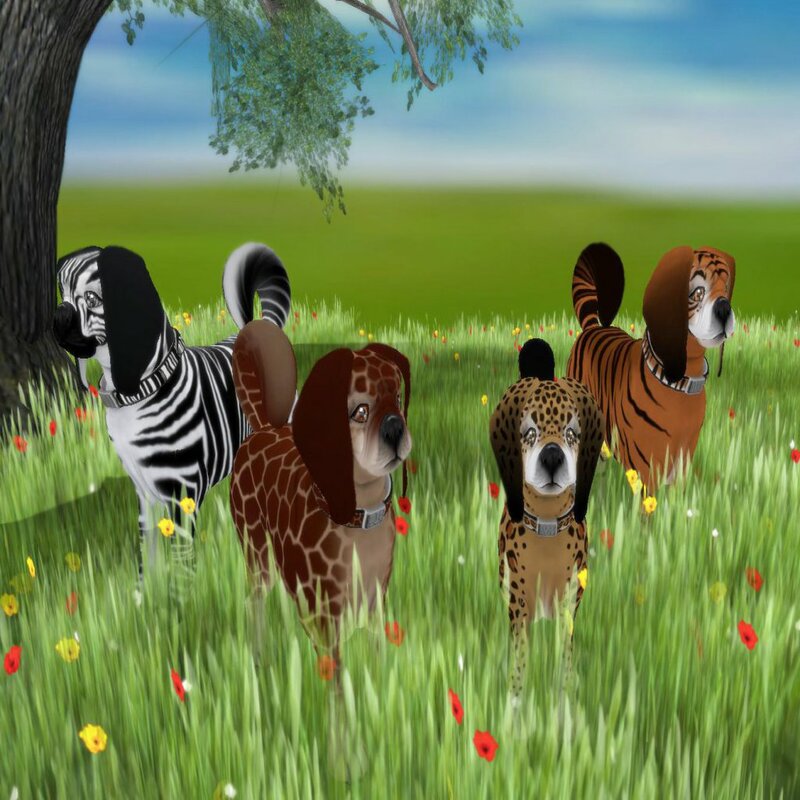 If you breed any of the holiday K-9 together, The 2012 or The Retro, you have a chance at getting an “In to the Wild K-9”. These are amazingly cute little pups! The coat, eyes, and collar are passable from the In to the Wild K-9!! So gather up those Holiday K-9 and start breeding them together! I have included a pic for you to drool over!